Here is my first entry to the JFI-Chocolate event. I've never made a dish for any other event this fast. Now I am sure you guys will accept that I am obsessed with chocolate. My boss usually brings us some treats during the holiday season and last year he brought this fudge. They tasted wonderful and my husband and I liked it a lot. I've been bugging him ever since for the recipe. Unfortunately his wife misplaced the recipe. I decided to Google for the recipe and found the one I liked, here. I omitted the nuts as the one I tasted last year was without the nuts. This tasted exactly like the one my boss brought last year and this year I packed some for him, as a pre-Christmas treat. 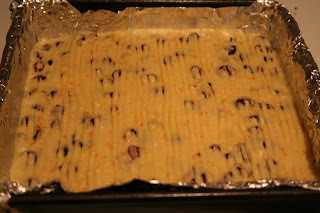 It is a very easy no bake recipe and takes about 5 minutes to prepare and 2 hours to set. 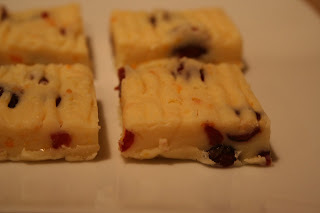 The fudge was chewy and soft and the cranberries complemented the white chocolate perfectly. Line a 8x8x2 inch pan with aluminium foil (with some extra foil hanging on the sides) and grease it with butter. Microwave the chocolate along with the condensed milk for about 1-2 mins, checking and stirring in between. Once all of the chocolate melts, mix in the cranberries and stir well. Pour into the greased pan and let it cool for about 2hrs in the fridge. Since its pretty cold here, I left it out for 1 hr and refrigerated it for 30min. Once its set, remove the fudge from the pan by lifting using the foil. Cut it into 1 inch cubes, remove the foil and store in an airtight container. If in warn places then its best to refridgerate it. what a great choice chocolate is for JFI!!! love your fudge. Hey Deepz Like the combo of white chocolate and cranberry lovely fudge. Great start for JFI. Heyyyy, this looks delicious and so easy too, Why don't you send it over to me too , for "my fav things" event, I would be delighted! Fudge looks delightful & yummy. Madhu: Yes the combination is perfect as they compliment each other well (sweet chocolate and tart cranberries). Bindiya: Thanks. Will definitely send it across to your event. 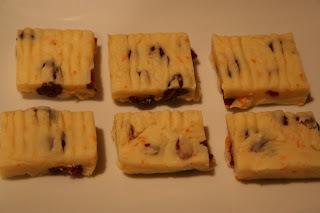 white chocolate and cranberries? lovely! I dream in chocolate. Your recipe is too good that I have to try it. Very nice presentation too. I'm drooling already. Thanks Namritha. Will wait for your entry. Looks quite tasty, and easy as well- definitely a keeper of a recipe! Please suggest an alternative for cranberries.